Thanks to the advances in technology, medicine and nutritional science, seniors today are living longer and healthier lives than previous generations. As a result of these advances and breakthroughs, life expectancy is continuing to rise and the quality of life is improving. However, chronic diseases remain a challenge that many seniors face. Chronic conditions account for most deaths with about 80% of seniors having at least one chronic disease and about 50% having two. A chronic disease can be defined as a condition or disorder of slow progression and long duration that causes continuous or episodic periods of incapacity. The most common chronic diseases in Americans ages 65 and older are heart disease, strokes, diabetes, arthritis, osteoporosis, urinary incontinence, and cancer. Other very common chronic diseases include Dementia, Alzheimer’s disease, Parkinson’s Disease, glaucoma, lung disease and depression. How can a chronic disease impact seniors and their caregivers? 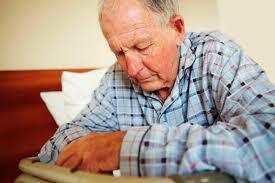 A chronic disease can have dramatic effects on seniors. It reduces their quality of life making them unable to enjoy their independence at home. It also limits their mobility and hinders their ability to enjoy their favorite activities and hobbies. As a result of these physical restrictions, seniors develop a fear of losing their independence and control of their lives making them resistant to help, anxious and possibly depressed. Chronic diseases not only affect seniors but they can also put a great physical, emotional and financial toll on the family members who care for them. Can chronic diseases be controlled or delayed? – Maintaining a healthy life style by eating a healthy balanced diet, drinking enough amounts of water, exercising regularly, refraining from smoking and maintaining a healthy weight. - Regular testing and screening can detect an illness during its early stages. This preventative measure helps greatly in controlling chronic diseases and limiting their rate of progression. - Seeking consultation from a health care provider as soon as physical, emotional or cognitive changes appear. The best advice to give to seniors who are at risk of developing a chronic condition is to educate them about these conditions, their symptoms, characteristics, ways to delay their progression and manage the pain they cause.